Amore Eterno Perfume by Victory International, Amore Eterno is the feminine, floral perfume introduced by Victory International in 1999 . This floral masterpiece has a masculine counterpart that was released in the same year. Unlike the spicy cologne, however, this fragrance features a flowery medley with lemony fresh rose, rich ylang-ylang and sweet jasmine. The feminine scent sits on warm vanilla, earthy musk and woodsy vetiver for a well-rounded finish that gives the perfume an elegantly Read More Read More sensual appeal. This scent is perfect for a formal or casual night out because it is intoxicating without being overwhelming. Victory International was founded in 1997. This family-owned company prizes integrity and quality in all of its manufacturing and products. The brand's reputation for high-quality scents can be seen in the packaging as well as the aromas themselves. 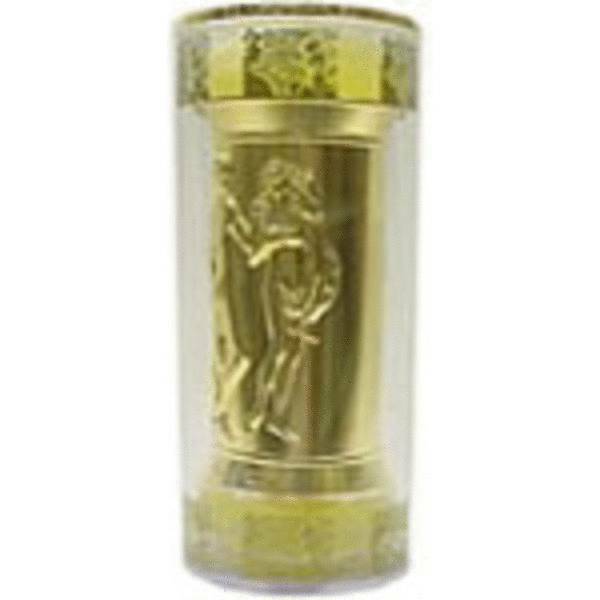 Amore Eterno comes in a gold cylindrical bottle that features an imprint of a man and woman. The box is clear with gold edging to feature the artwork on the bottle. All products are original, authentic name brands. We do not sell knockoffs or imitations.